CSI, CSI: Miami, CSI: NY. . HD Wallpaper and background images in the CSI club tagged: csi. This CSI photo contains business suit, suit, and suit of clothes. There might also be dress suit, full dress, tailcoat, tail coat, tails, white tie, white tie and tails, and three piece suit. 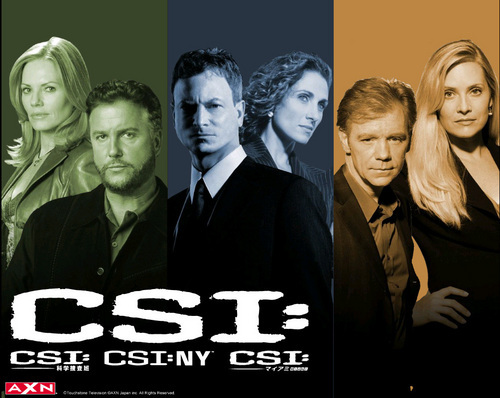 I love the CSI trio series! Eva La Rue is oo la la hot! Mac Taylor is one great cop! Dr. Ray Langston is one heck of a CSI agent and Doctor! Lindsay Messer is one hot CSI agent!